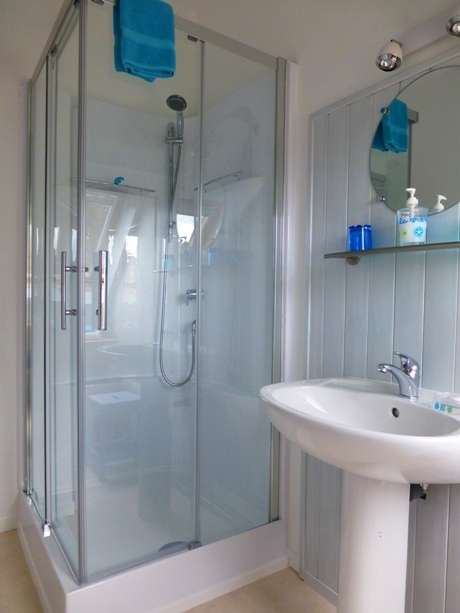 Studio Mirabelle is an open plan, self-catering studio for 2/3 people. 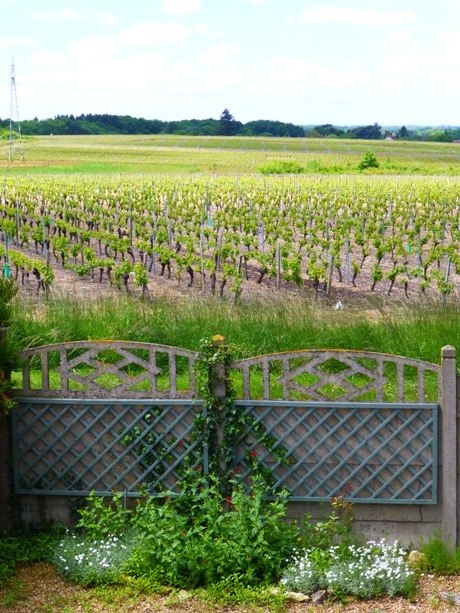 Set in quiet spot on the edge of the vineyards, this light and airy studio, with its private entrance, is situated at the far end of the family longere. 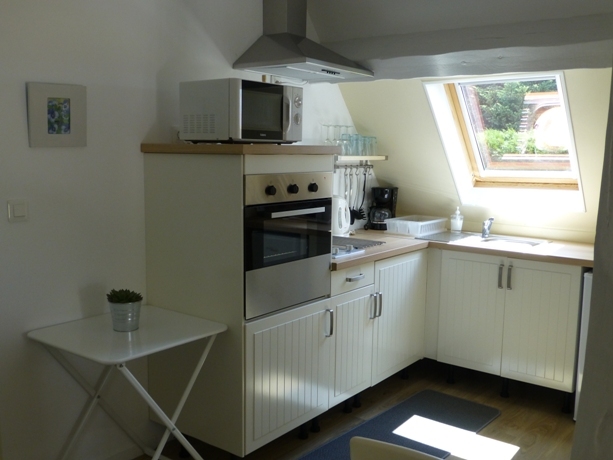 It benefits from a simple, but well equipped kitchen space, with full sized oven, microwave, 2 burner hob and an adjacent dining table. 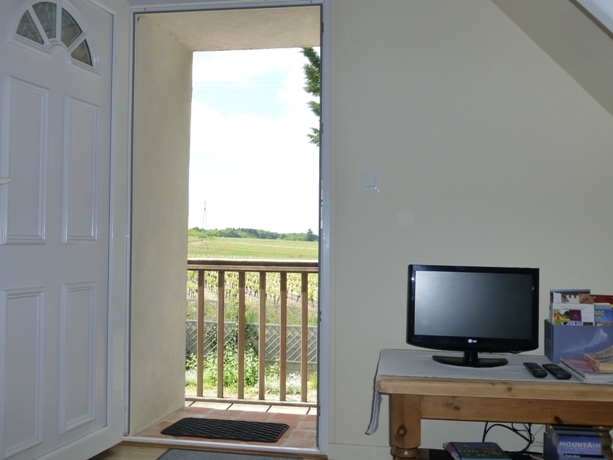 Studio Mirabelle has a balcony, offering lovely views across the vineyards of the Touraine and the countryside beyond. At ground floor level there is also a terraced dining area with picnic bench, cloths drying facility and use of a BBQ. 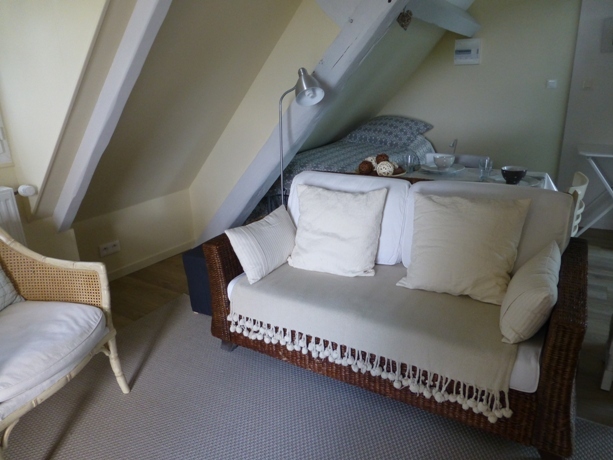 Situated on the first floor, studio Mirabelle has been tastefully renovated in the loft space of this traditional farmhouse, with its exposed beams and pastel shades offering a calming space, perfect for holidays, or short breaks in this historic region of the Loire Valley. * a comfortable lounge area with television and DVD player. * iron/ironing board available on demand. 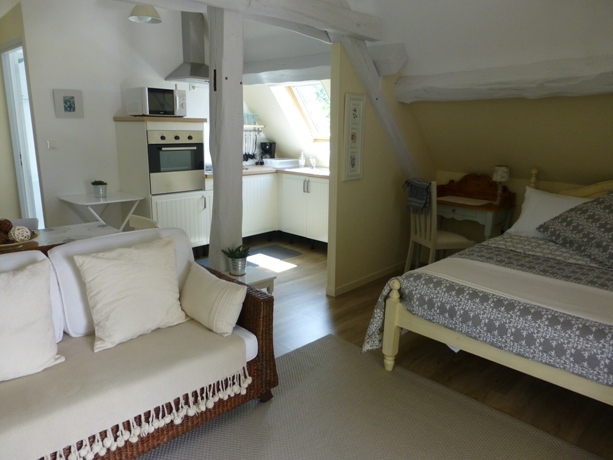 TAXE DE SEJOUR - €0,88 per adult and children above 18 years, per night. 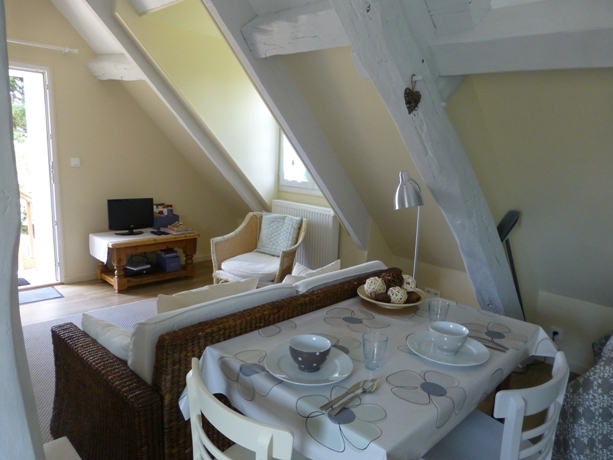 For groups of up 7 people, Studio Mirabelle can be rented alongside our self catering Gite, on a weekly basis, Saturday to Saturday. Please contact us directly for weekly prices. 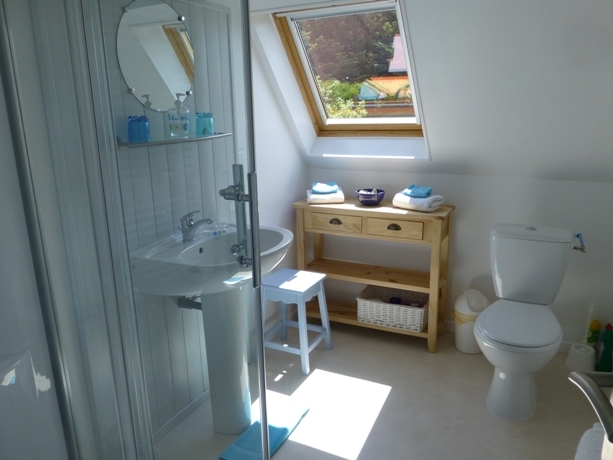 For more information on Gite rental please click here.